Nanaimo lost their three games last week starting with an 18-5 setback in Duncan on Tuesday night. Six different Nanaimo players had two points and goalies Darion Claxton and Colin Jeffrey split the netminding duties. On Saturday the Tmen hosted Coquitlam, with the game ending up 11-7 for the Adanacs. Ryan Sheridan paced the attack with a hat trick and two assists while Matt O'Dwyer and Jake Mickelson had three points each. Colin Jeffrey posted a 43 save performance in net. In the second period of the game Coquitlam defender Ty Yanko was injured and was forced to leave the game on a stretcher. The entire Timbermen organization wishes Ty a speedy recovery. 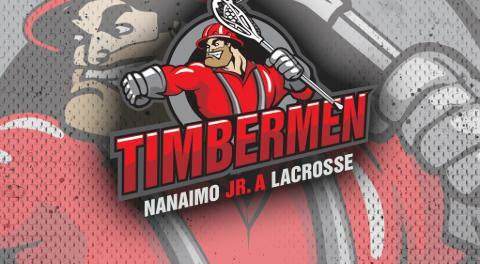 Wrapping up the week against the Salmonbellies, Nanaimo lost 13-8 on the road Sunday. Thomas Vaesen, Jake Mickelson, and Cole Christensen each had three points in the game. Colin Jeffrey made 47 saves in the game. This week the Tmen host Poco on Saturday at 4:30pm. Nanaimo visits New West on Monday July 2nd.